Jamie Fingal checking in on the October theme of trees. I had to dig deep to find some in my artwork, realizing pretty quickly that I don't do trees, but big flowers as trees. Whimsy House stencil has large tulip flowers, the size of trees. Another tulip tree piece. This was made on watercolor paper with washi paper and fabric, some painting with watercolors, and pen and ink. Just another way to look at trees. I have a little sketchbook made from a lovely soft handmade paper which still has bits of fibre in it; this was a present some time ago and I use it occasionally when I pick up interesting or coloured leaves when out walking. They press nicely between its pages and I have found that a blob of hot glue fixes them to the page. It always amazes me as to how well the leaves keep their colours. Some of the leaf shapes look like little trees in themselves. I have been following a line drawing workshop with Lisa Congdon and, inspired by her methods, added some geometric tree shapes around one of the leaves in the sketchbook. I then took photographs of some of the pages and put them through grunge filters in ipad apps. I then printed them out onto photo paper and added more geometric shapes using a black Berol marker. Have fun with October's autumn theme, Jackie. Carol Sloan here, bringing you this month's theme. Our theme will be “trees” this month. It's no secret that I love trees. For climbing, sitting under, sitting in, collecting leaves, picking up bark and acorns (or fruits). I love to photograph them, paint them and draw them. I've created several series of artwork around the topic of trees. If you spend more than one or two minutes looking around my blog, you will see that I spend a lot of time drawing or painting trees. I have several thermofax screens in my shop that have pieces of a tree on them – several different leaves and stems. 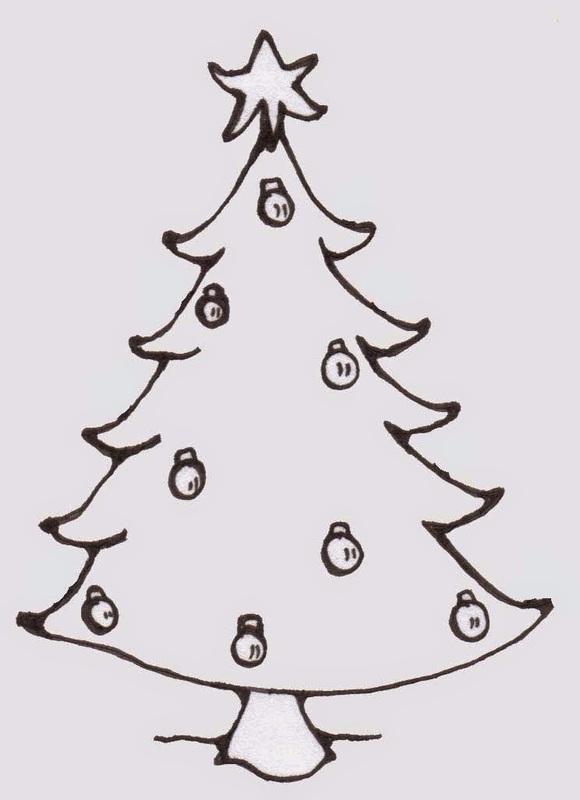 You may even find one or two drawings of a complete tree in there. 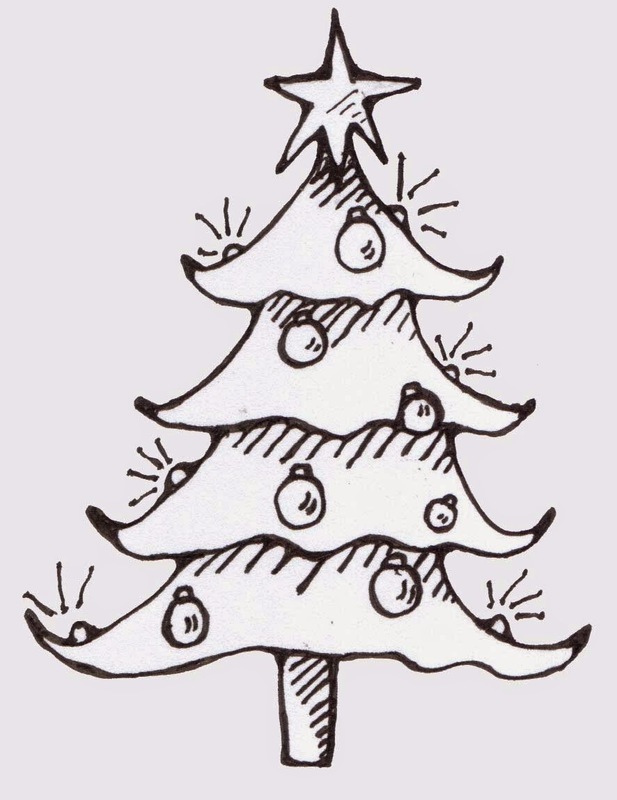 One of my Etsy shop customers requested a Christmas tree thermofax screen to use in making Christmas cards. I sketched out several quick tree ideas for her, then ask her to let me know which ones she wanted me to “flesh out” for her. Here's a look at the preliminary sketches. The following are a few of them that I sketched in my sketchbook as potential designs. 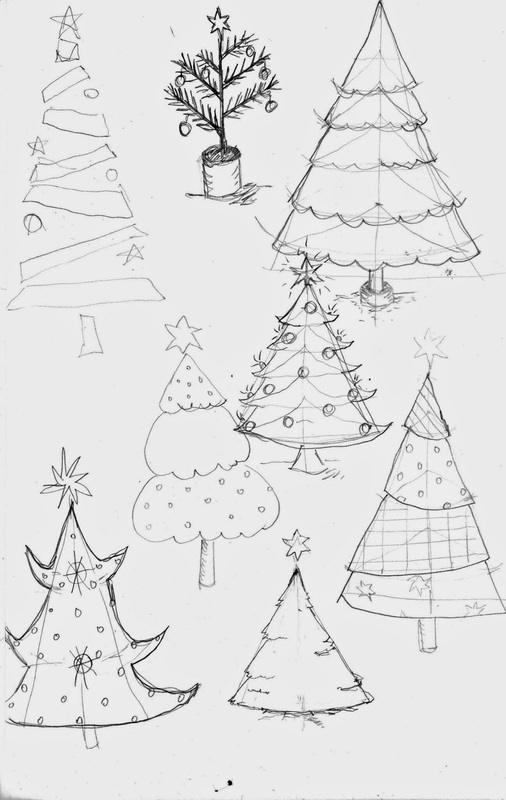 Whether you draw a life-like tree or a stylized one, you could draw your own tree for use on a card or use it as a reason to get in some sketching time. Either way - pull that sketchbook out and get to sketching! Please share your images from this months theme in The Sketchbook Challenge Flickr Group, and don't forget to tag it with the code oct489 so it can be included in the end of month slide slow on this blog.